This book has all the makings of a book I would love. It's YA, there's a ghost, there's a guy next door (not just a girl next door), she's angsty, she's not angsty, no she is, but she's also bipolar....aaaaaahhhhhh I love YA lit! I really did just eat this book up. I think the fiance even got shushed at one point. The story not only WORKS, it's AWESOME. Without giving away too much, there's a point in the story where you aren't sure just how strong a grip on reality Rinn has. I mean, the whole struggle with reality is an issue for people who have bipolar disorder. The fact that I wasn't sure about my own grip on the story-reality is a testament to how deeply involved with Rinn a reader can become. Jeannine Garsee created a really amazing character in Rinn. Reading Garsee's bio over at her website, I learned that she's a psychiatric nurse, which explains a lot. She's got an amazing handle on Rinn's disorder, how people react to it--or don't react-- and just how Rinn herself feels and thinks. All in all, amazing. I snagged this book to read because I've received an advance copy of book two in the series, Ashen Winter. The blurb for the second book left me feeling like I needed all of the back story to understand what was going on. And for the record, now that I've started book two, YES YOU NEED TO READ THIS ONE FIRST. Book two jumps in kind of head first to the story and you'll be lost immediately if you don't have Ashfall under your belt. 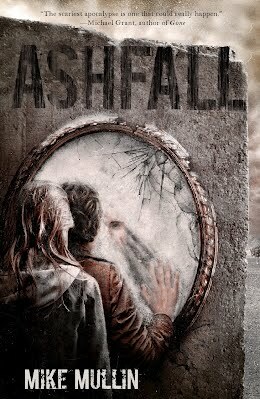 Ashfall is definitely post-apocalyptic dystopian fiction. The best part of this particular apocalypse scenario is that the trigger event is one that isn't so hard to believe--the eruption of a super volcano in Yellowstone National Park. One that we do happen to know exists and hasn't erupted in 640,000 years. And when it did erupt....well.....Krakatoa ain't got nothin' on this one. Excellent book. There's adventure, there's action, there's some blood and gore, there's even some love. All the pieces work and it was unbelievably easy to get caught up in this story. In light of the major earthquakes that have happened in the last few years, the realization that something like this is possible tomorrow, adds the scariness of this book. Not horror scary, but reality scary. It is rather intense. I wouldn't hand this to a junior high student, definitely my 15/16 and up crowd, and can even think of some adults who would enjoy this one. Reading other reviews, it appears to be a love/hate book. You either LOVED it, or you didn't and there doesn't seem to be much happy medium. I think if you like The Last Survivors series (by Susan Beth Pfeffer, the first book is Life As We Knew It), you'll enjoy this one. It's, frankly, awesome. Matt’s spent years resenting his father and the church, but a once-in-a-lifetime archaeology trip forces Matt to face more than he bargained for as he and his father unearth a city that’s been lost for centuries. This thrilling adventure is bursting with laugh out loud humor, a touch of romance, and more than a little mystery. Ok, this was an...odd...little story. I enjoyed it, I just don't think I was expecting it. Matt's family is LDS (Mormon), and Matt has struggled not with being LDS itself, but with how his father appears to put everything before his family, including his passion for archaeology that is related to LDS history. In this book, I learned a little more about LDS history, including some of its story line in Mexico and Central America. If you are interested in this sort of story, it's a good one. The LDS angle isn't overplayed, and I did like the little mentions of teenagers being "turned-off" by others not living up to standards of good conduct and morals. The story itself is a good one. Archaeology is fascinating to me, and I found myself wishing I could be on a similar dig site. The characters were interesting, believable. I wish the other adults would've been developed a little more, but then, I'm an adult. My only negative about this story is that I just didn't feel like it was long enough. I really thought it could've been stretched out a bit more. Michael Vyner recalls a terrible story, one that happened to him. One that would be unbelievable if it weren't true! Michael's parents are dead and he imagines that he will stay with the kindly lawyer, executor of his parents' will . . . Until he is invited to spend Christmas with his guardian in a large and desolate country house. His arrival on the first night suggests something is not quite right when he sees a woman out in the frozen mists, standing alone in the marshes. But little can prepare him for the solitude of the house itself as he is kept from his guardian and finds himself spending the Christmas holiday wandering the silent corridors of the house seeking distraction. 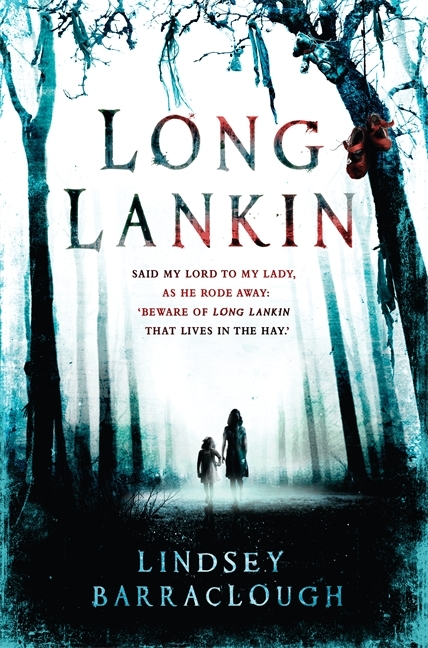 But lonely doesn't mean alone, as Michael soon realises that the house and its grounds harbour many secrets, dead and alive, and Michael is set the task of unravelling some of the darkest secrets of all. One review I read of this title called it "delightfully creepy." I'd agree. I've never read any of Priestley's books before, but I'm definitely going to start picking them up. Think "gothic horror." (not goth, gothic). Set in a Victorian-era time and lace, one can't help but begin to feel creeped out from the get-go. A lawyer for a guardian Michael is supposed to be uninterested in, because his own father is dead after saving this man. Then, to know that not only he is now an orphan, but this guardian wants to uproot him completely from anything and anyone he does know...in modern stories this would be a set up for many a bad thing to come---and not just ghosts. This one captured my attention like few gothic ghost stories written post- Edgar Allan Poe can. Priestley is definitely on par with Poe, for all the descriptive writing and the intensity of the thrill...definitely a master.